With an array of craft vodkas to lift our spirits, it’s becoming crystal clear that distillers are meeting the demand for something new and unique, and creating distinctive flavour profiles to sip, stir or shake. The foundation for many classic cocktails, vodka can be made from grain, molasses, potatoes and even grapes, and with the rise in higher quality mixers for your V&T and the trend for consuming vodka on the rocks, there’s a shift from quantity to quality. Indeed, award-winning online drinks retailer 31dover.com has seen a huge uplift in the popularity of craft vodkas with people looking to the ‘smaller guys’ with an appreciation of the process involved. Also, contrary to what has been predicted by the likes of Brexit and recession worries, they are still seeing strong sales in the premium category. And with drinker’s tastes growing more adventurous, it’s a similar story in bars and restaurants. “Inherently, vodka is a spirit that has been stripped back to remove the flavour. But now we’re seeing a trend the other way. Big-name (brands) have a place, but then you’ve got craft brands which take more care in giving these flavour characteristics and profiles, which is great and really needed,” says Anthony Peart, development bar manager, The Hand & Flowers – the only UK pub to be awarded two Michelin stars. 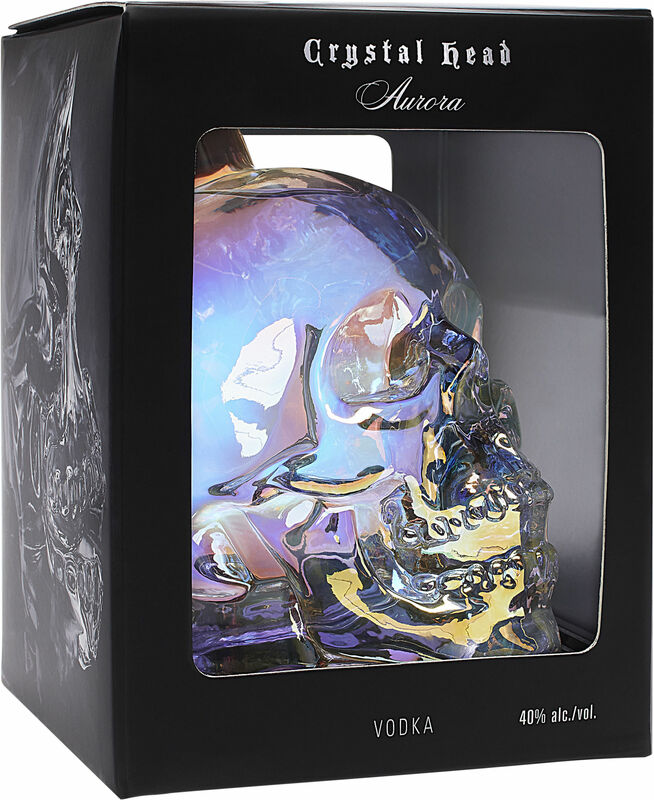 It may have launched only a year ago, but Crystal Head’s latest vodka Aurora (£79.99, 70cl, www.selfridges.com) is proving so popular, Aurora Magnum will be released in October. The iconic skull bottle has an opalescent finish and it’s made with English-grown wheat and water from Newfoundland. ‘Drier, bolder and spicier’ than the Crystal Head house style, the hand-crafted glass bottle has the potential to become a collector’s item as no two bottles are alike. A new rye-based vodka from Suffolk-based brewer and distiller Adnams, the rye in Rye Hill Rye Malt Vodka (£26.99, 70cl, cellarandkitchen.adnams.co.uk) creates a drier, spicier vodka than an all-barley recipe and it’s smooth and rich with a spicy kick on the finish. 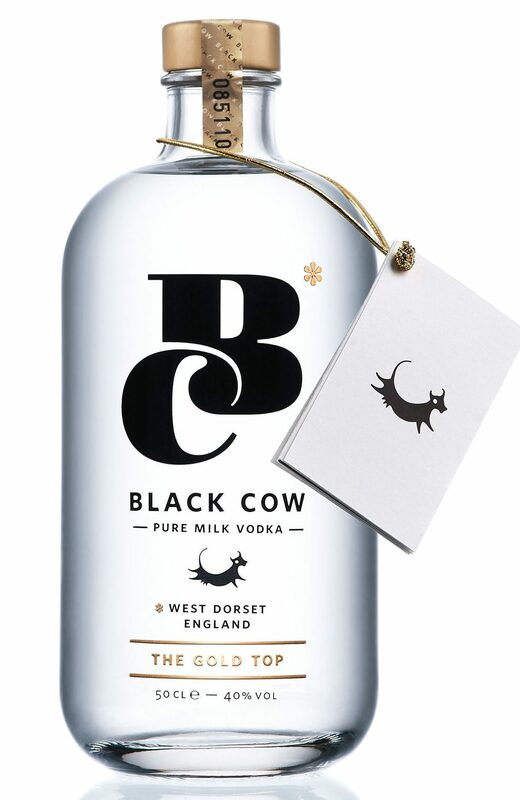 :: A MOOO-VE IN THE RIGHT DIRECTION Made entirely from milk using a secret blending process, it took a West Dorset dairy farmer to invent the world’s first pure milk vodka. Incredibly smooth and creamy, Black Cow Vodka (£28, 70cl, Sainsbury’s) is made from the whey (the curd is turned into cheese) and it really is a dairy delight with vanilla bean on the nose, a sweet vanilla palate with a flick of grassiness, and twist of pepper on the finish. Super smooth, enjoy neat over ice or in cocktails. An award winning vodka from Austin, Texas, the producer of Tito’s Handmade Vodka (£35.99, 70cl, www.selfridges.com) has swapped wheat for corn to create this creamy, soft vodka with a sweetcorn character, and notes of black pepper and vanilla. Excellent in a vodka and tonic, it’s good enough to sip straight and if you like bourbon, this is worth exploring. 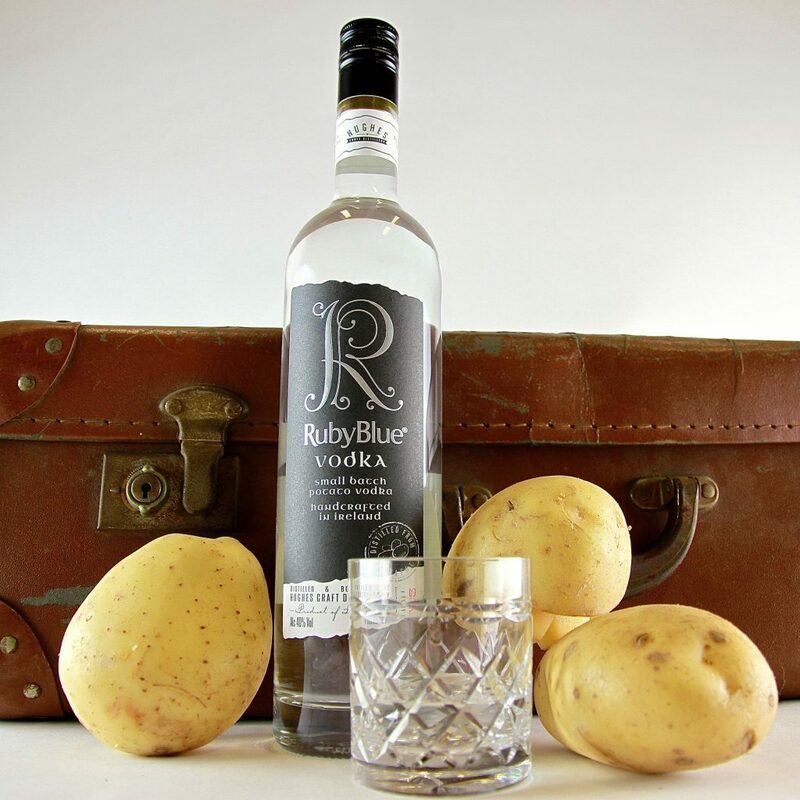 An Irish vodka that’s made with potatoes, Rubyblue Potato Vodka (£25.95, 70cl, www.31dover.com) was one of the top 10 #HotCraftSpirits as voted for on social media platforms (www.hotcraftspirits.co.uk). Smooth with subtle notes of vanilla and creamy, mash potato undertones, a slight earthiness and clean finish, it’s versatile enough for cocktails but #RubyBlueThyme is their perfect serve with lemonade, ice and a slice of apple and thyme. French for ‘wild and beautiful’, Sauvelle takes its name from the countryside where it’s produced and the people for whom it was created. A wheat vodka made in Cognac, Sauvelle Crafted French Vodka (£30.95, 70cl, www.thewhiskyexchange.com) is smoothed with wood which imparts flavours of vanilla, caramel and cherry blossom and there’s a richness to the mouthfeel with a satisfying finish. Dressed for an occasion, try it in a vodka martini. Whisky meets wine… Australian wine brand Jacob’s Creek have launched Jacob’s Creek Double Barrel Matured Shiraz, Australia (£12.99, Sainsbury’s), a premium red finished in whisky barrels. “The use of Scotch whisky barrels to finish our Double Barrel Matured Shiraz has imparted additional layers of complexity and smoothness, which combine beautifully with the rich varietal plum fruit cake and chocolate notes of shiraz,” says says Ben Bryant, chief winemaker, Jacob’s Creek. The grapes are matured in French and American oak, before finishing 100% of the matured wine in old whisky barrels – the first time this has been done by a leading global wine brand. A sparkling occasion… For the first time ever, Dom Perignon, dubbed the ‘father of Champagne’ will be inviting guests on a multi-sensory journey to uncover the magic of Dom Perignon through the exploration of sight, sound and taste, starting with a complimentary glass of Dom Perignon Vintage 2006. ‘Transformation’, a one-off, 15 minute experience in a striking installation on South Molton Street, Mayfair, London W1, will transport guests through the history of Dom Perignon by Cellar Master Richard Geoffroy. 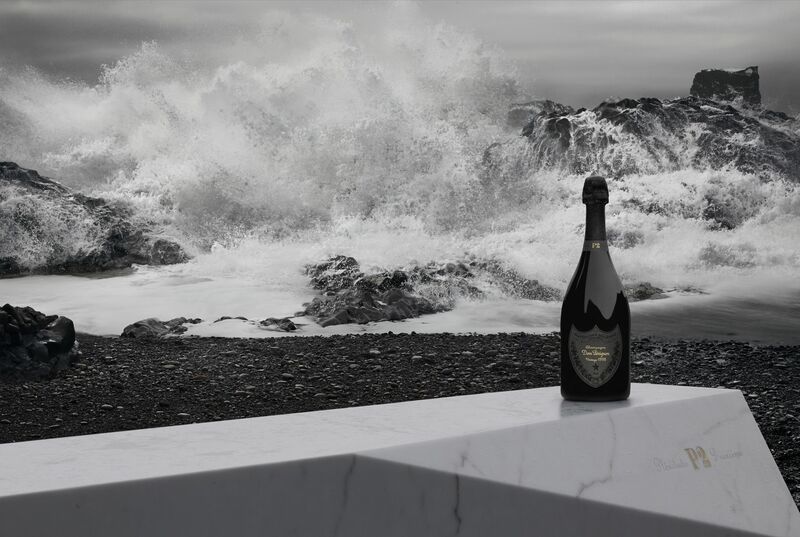 Layers of light and sound will build in unexpected successions evoking a series of emotions, replicating the evolution of each vintage as guests are immersed in the world of Dom Perignon. “The energetic lifespan that our wines go through play a pivotal role in transforming our vintages, it isn’t a static process, but an evolution and we hope to bring this to life with Transformation,” says Geoffroy. And if you want the fizz to keep flowing, Dom Perignon have teamed up with Claridge’s hotel (a stone’s throw away) for a tasting to include Dom Perignon Blanc 2006, Rose 2004 and P2 1998. Dom Perignon experiences at Claridges start from £120 and can also be booked online at uk.domperignon.com/en-GB/transformation, along with a DP paired lunch and dinner menu.